Auto-lovers will enjoy Colorado Car Shows! Looking to invest in a vintage car? Appreciate the classics? Curious about the coming year’s new car models? Between now and the end of September, there are numerous car shows all over Colorado. So when you stay at a Colorado B&B, you can bet that there is at least a small gathering of automobiles nearby! You’ve seen the weekend shows pop up in towns all over America – if not, you’ve probably encountered small fleets of classic cars driving down the road. 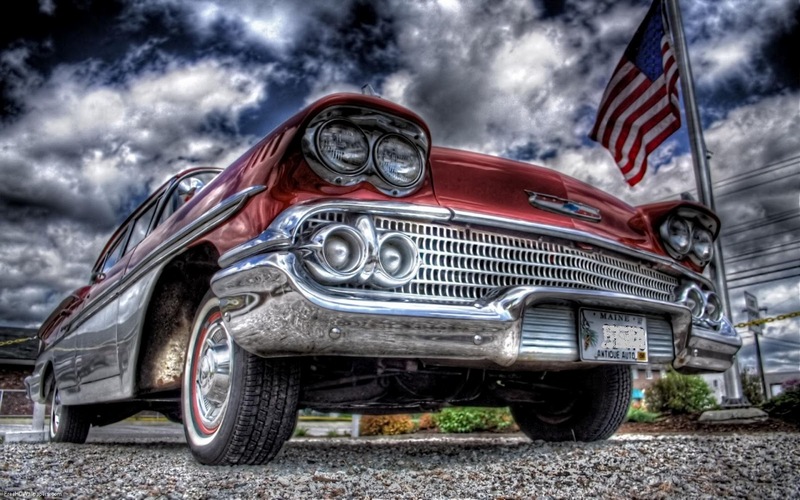 Car shows come in all shapes and sizes, and your innkeeper can certainly let you know the local spots for more-casual classic automobile gatherings. However, you may choose to coordinate your Colorado getaway during the same dates as some of the better-known and more interesting shows in the state (listed below), and maybe bring one of your own beauties and participate in the shows yourself! Sites for more information on all shows throughout Colorado can be found after the show listings. June 10, 2012: Exotic Sports Car Show and Concours D’Elegance. In Littleton (Denver area) for its 29th year, this show features many exotic cars from the 1920’s and 1930’s. Proceeds benefit Cerebral Palsy of Colorado. A full range of children’s activities make this event ideal for the entire family. Admission is $10 for adults, Children 12 and under are free. June 14-17, 2012: Rocky Mountain Mustang Roundup. THE Mustang event in Colorado, where over 400 owners come together in our beautiful town to socialize, friendly competition, and to show their cars to each other and the public. Registration fees apply, no admission charged to the public. July 18, 2012: Street Heat. Colorado Springs hosts this event to benefit the Fort Carson Officer’s Spouses Club Santa’s Workshop. Come to the Citadel Mall to enjoy the cars, vendor booths, and more! August 4-5, 2012: Angel of Shavano in Salida. In it’s 21st year, this Classic car show is a popular, intimate show held at Riverside Park in downtown Salida, along the banks of the Arkansas River. Proceeds benefit the Chaffee County Search and Rescue South Group. No general admission, and a small fee to enter your car in the show. August 11-12, 2012: Scrapin’ The Rockies. This mini-truck show is held in Firestone, CO to benefit ‘Stop The Burn’ for the research and treatment of Reflex Sympathitic Dystrophy/Complex Regional Pain Syndrome (RSD/CRPS). August 17-19, 2012: Gunnison Car Show. The 25th Annual show will be held at Jorgensen Park. Festivities include the open car show, a 50’s-style cruise-in, a free street dance, and a breakfast cruise to Crested Butte. Admission is free, and a registration fee applies for entered automobiles. September 14-16, 2012: The Fall harvest Car Show. Fort Morgan, CO welcomes you to enjoy the classic cars, hot rods, trucks, antique cars, and muscle cars that take over the City Park and downtown streets! Activities include a scavenger hunt, poker run, burnout contest, vendors, live music, and more! Free to the public, fee for car registrants. March 20-24, 2013: Denver Auto Show. See all the new models offered by current auto makers. Tickets are $10 for adults, $5 for youth ages 6-12, and free for children under 6. Tickets can be purchased online. However, there are many more options for car shows throughout Colorado! All Over: Car Show News can give you a good idea of car shows in whatever area of Colorado you’ll be visiting! All Over: Festivals and Shows dot com lists additional show choices. Denver: Cruisin’ Productions lists area shows happening throughout the summer. Car lovers can rejoice… and enjoy their getaway to their favorite Colorado inns. The Bed and Breakfast Innkeepers of Colorado welcome you to enjoy their inns, check out our car show-related specials, and take part in all the automotive activities our state has to offer! This entry was posted in Uncategorized and tagged Colorado Car Shows, Colorado Events by admin. Bookmark the permalink.